From NEW YORK TIMES bestselling authors Holly Black and Cassandra Clare comes a riveting new series that defies what you think you know about the world of magic. From two bestselling superstars, a dazzling and magical middle-grade collaboration centering on the students of the Magisterium, an academy for those with a propensity toward magic. 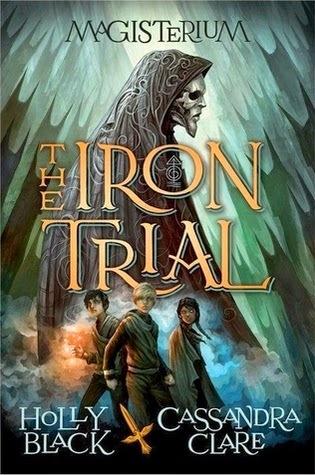 In this first book, a new student comes to the Magisterium against his will -- is it because he is destined to be a powerful magician, or is the truth more twisted than that? It's a journey that will thrill you, surprise you, and make you wonder about the clear-cut distinction usually made between good and evil. I adore Cassandra Clare. And I adore middle grade. So I know that I will love this book. And that cover. Dies. It is beyond gorgeous. I just know that I will love this new series :D I cannot wait to get started. OOooh, super cool cover! :D I've never read a Cassandra Clare book, but I do love Holly Black! Especially her MG books! Great pick! Holly Black AND Cassandra Clare!? Yes, please! I don't usually read MG but I know I must give this new series a try for sure! Ahh, yes, the MG series. I won't be reading this series, but I hope you enjoy it!! Um YES!!!!!!!! Two amazing author's putting their brilliant, creative minds together!!! OHHHHeemmGhhhEEEEE I can't wait to read this!!!! GREAT PICK!!!! !